Pans, pots and woks can also be difficult to move in any area. Spills and stains can cause injuries and expensive damage. It can cause a nasty mess or severe injury depending on temperatures and the amount of liquid spilt. A non-slip material is an excellent way to help decrease the chances of clumsy mistakes and makes any object easier to hold and move. This materials thin finish will allow you to create a strong non-slip grip. 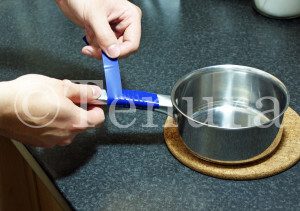 Tenura anti-slip grip strips are highly heat resistant, meaning they can survive on a pan, pot or wok for as long as you need them to. Anti-slip grip strips are also very useful to apply to cutlery, utensils and many other items used during food preparation. 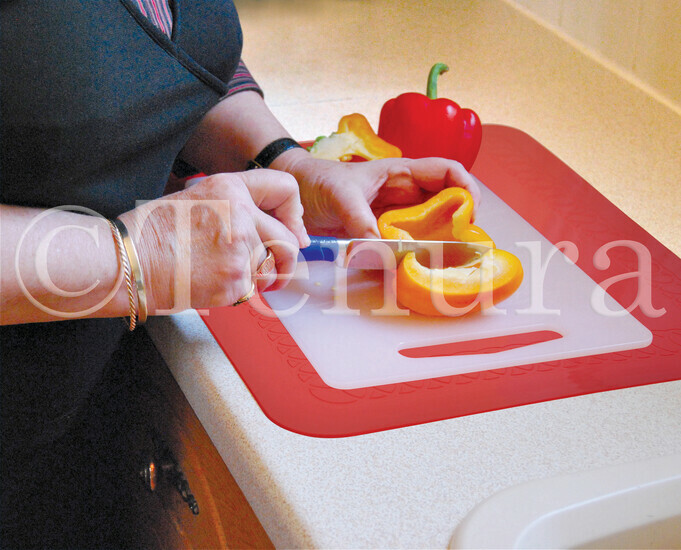 Preparing food on the chopping board can be a strenuous task for anyone and can lead to injury very quickly. Anti-slip grip strips can help by creating a firm grip on the handles of knives, forks, spoons and the chopping board bases themselves. This contributes to improving the general grip around these objects and minimise the chances of slips that could lead to injury. One handed Whisking is now possible with anti-slip grip strips. By placing anti-slip grip strips under the bowl and around the whisk handle, you can increase control and comfort. Another product, designed for just such a purpose is Tenura cutlery grips. Cutlery grips can be slipped onto many different kitchen utensils with ease. Once applied, this material will create a enhanced surface area, allowing objects to be handled and used efficiently, without the strain and discomfort some experience when trying to grip small or thin objects. 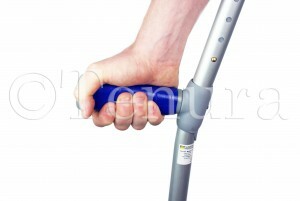 Posted in Arthritis Aids, Assisted Living, Daily Living Aids, Independent Living, Tenura Updates and tagged anti slip grip strips, cutlery grips, grip strips, how to use anti slip grip strips, how to use grip strips, how to use non slip grip strips, non slip grip strips, tenura on 31st July 2015 .